While I was away last week, I did take baby Olivia, but my husband didn’t come along. We missed him a lot! I knew he would be working long hours so I wanted to prepare some meals that would be easy for him to just heat up when he got home. I prepared a few dishes and left post-its* on them with heating directions. One was my lasagna. *To read more ways I use post-its click here: Put it on a Post-It. Since I was making a few dishes all at the same time, I did not make my own sauce. 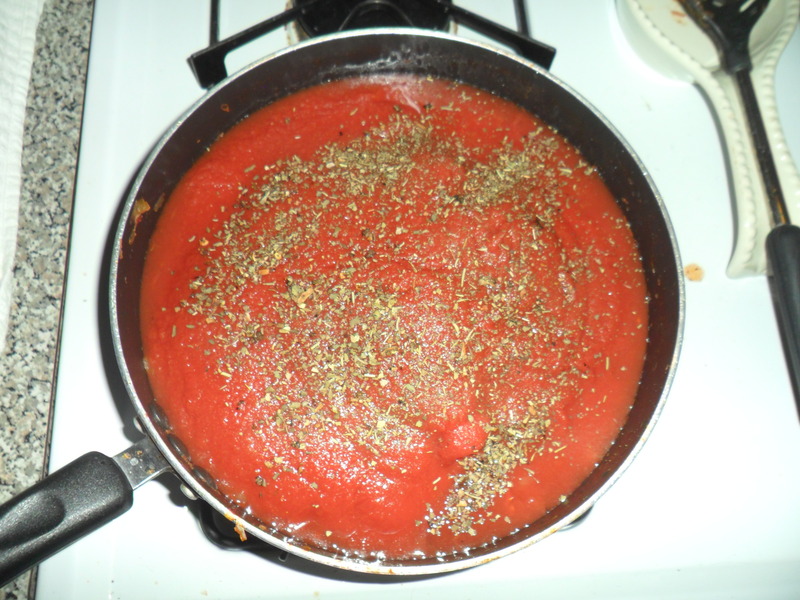 I put two cans of tomato sauce in a skillet and put the heat on low. I stirred in garlic powder, oregano, onion powder, and basil. I also threw in a can of diced tomatoes just because we had it. A chef would probably tell you not to mix brands. Disclaimer: I’m not a chef! 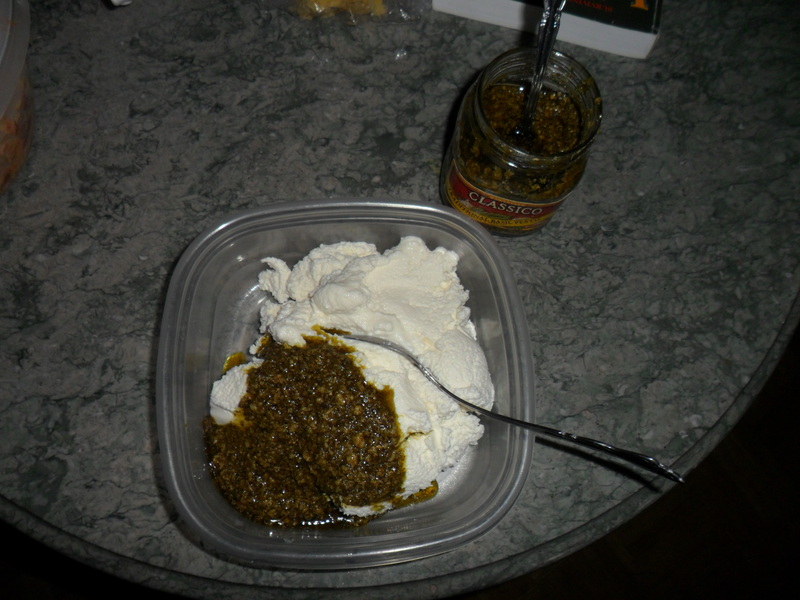 In a separate bowl, mix ricotta cheese, cottage cheese, pesto, salt and pepper. I use Classico pesto. 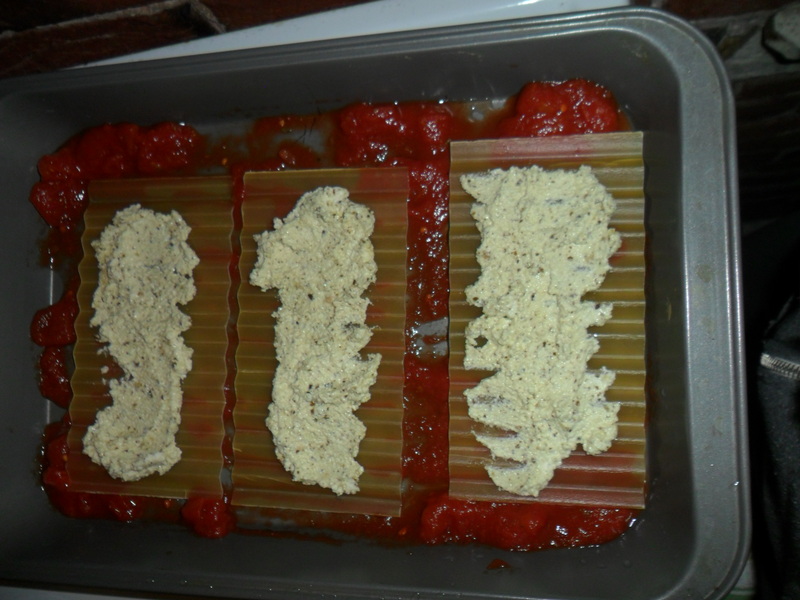 In a 13X9 greased pan, layer the tomato sauce, precooked lasagna noodles, then the cheese mixture. Repeat three times. 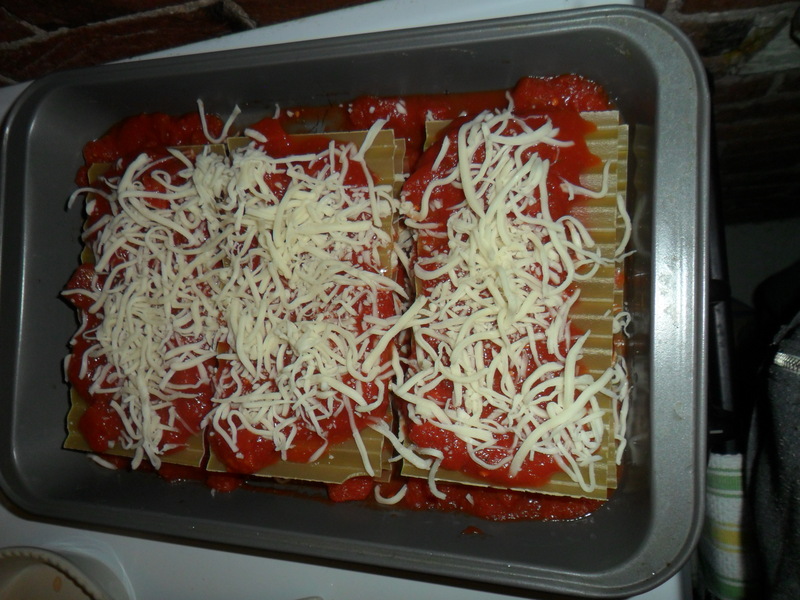 On the top layer put tomato sauce and shredded mozzarella cheese. Cover with tin foil. Bake for 30-35 minutes on 400 degrees or until noodles are soft. For a meat option, brown ground beef or ground turkey in a skillet. Add the tomato sauce to the skillet with the meat. For a vegetable option, slice squash, zucchini, onion, pepper, and tomato (or whatever veggies you have in the fridge.) Toss with olive oil, salt and pepper. Place on a baking sheet and bake for 20 minutes on 400 degrees or until the veggies are soft. Use the vegetables as a layer between the cheese mixture and the tomato sauce. 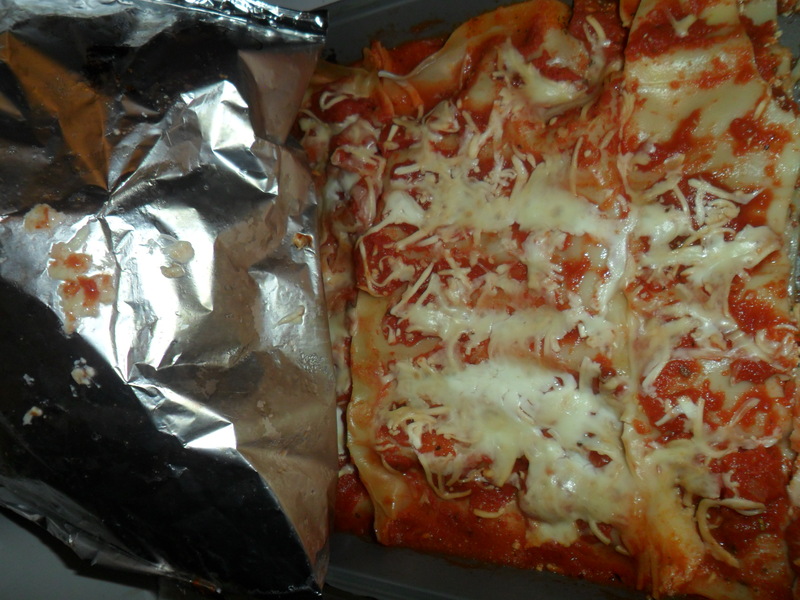 So that’s my effortless lasagna! Do you have a lasagna recipe you can share with me? I love to try out new ways to cook this easy and delicious meal. Leave a comment and let me know. Have a great Monday – it’s almost May! awesome! let me know how it turns out! it’s really easy!